Pretty much everyone who does a search in Google on their mobile device and clicks on a Yelp listing and does not have the Yelp mobile app, is a frustrated user. Why? Because you land on this annoying interstitial ad to download the app. If not, you can maybe see in really small font, in a light color, you can continue on the the mobile site. Everything else is blocked out and you cannot see the information on the Yelp listing. 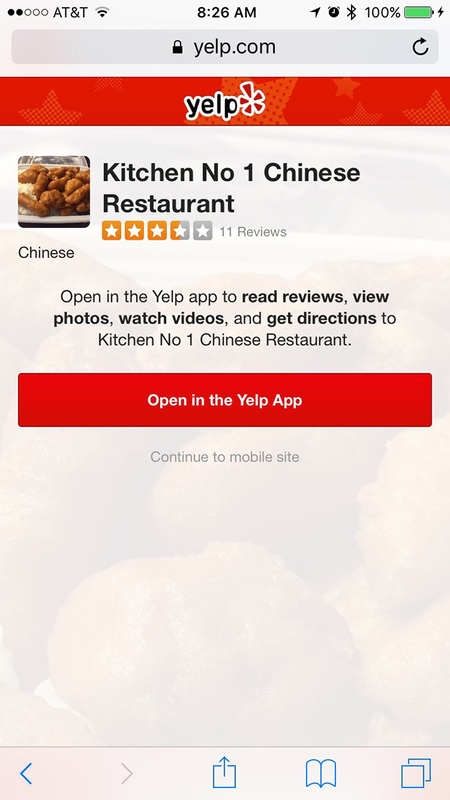 Clearly, Yelp wants you to download the app. But the upcoming mobile interstitial Google penalty seems like it will smack these pages down. Of course, that will upset Yelp who wants to make it hard to consume content on their mobile site and wants users to download their app. Seems like Stoppelman will be headed to congress again.